A wee reflection on this, the winter solstice. 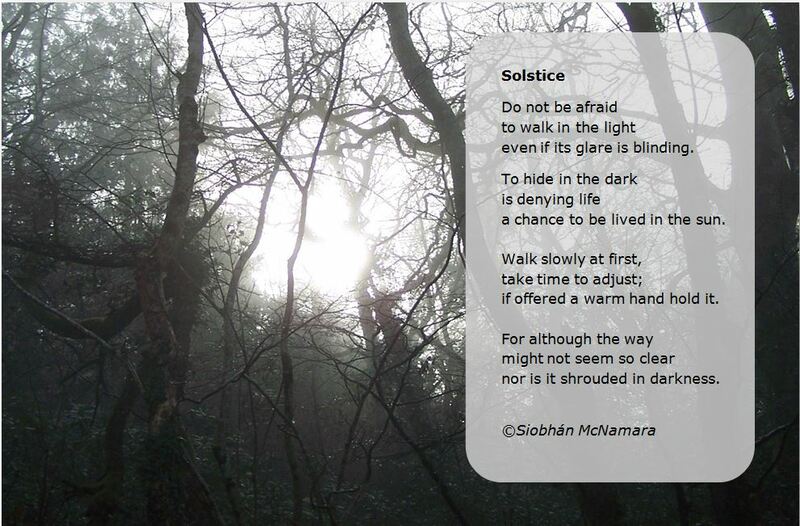 This entry was posted in Photography, Poetry and tagged darkness, light, poetry, Siobhan McNamara, solstice. Bookmark the permalink.